We are a St. Louis based Car Club that has an active membership in excess of 200 members and growing. We were founded in 1944, it is one of the oldest surviving car clubs in the world. Most likely we are best know for our annual Easter Concours d’ Elegance held in Forest Park. We hold monthly meetings usually on the 3rd Friday of the month at 7:30pm. They are usually held at Logan Chiropractic College located 1851 Schoettler Road (for directions see our “Contact Us” page). We are a very active club with various organized events, swap meets, parades, car shows and unlimited restoration resources. Membership is only $25.00 per year; come visit and consider joining us. Please visit our Membership page for more details. Click here to read a message from our president! 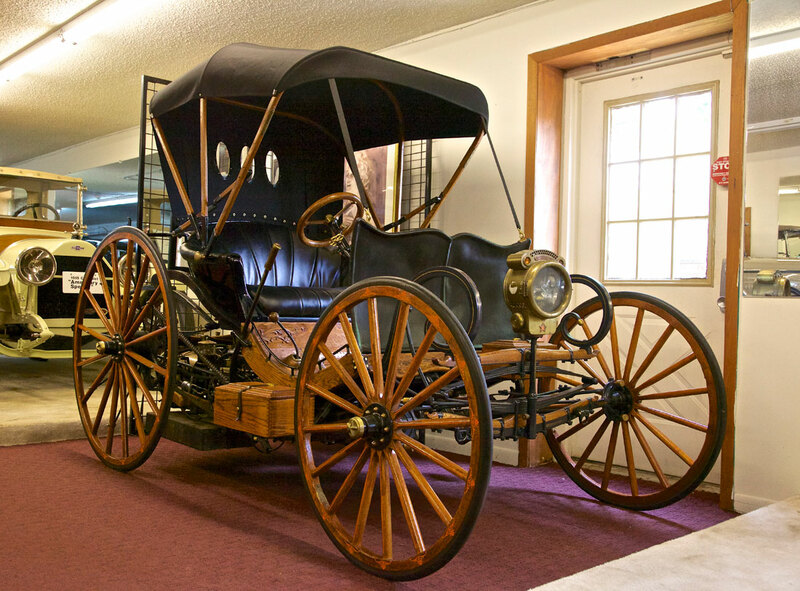 The mission of the Horseless Carriage Club of Missouri is simple. We serve only to inform and educate others about this marvelous hobby of the appreciation of older vehicles. We love bringing these fine automobiles back to life and we are excited to share our passion with you! Our Motto is “Rigs That Run,” and they certainly do. Most of us drive our antique and classic cars and most of these fine automobiles get personal attention under the hood. We are “hands-on” folks and enjoy the pleasure of “getting greasy” as we explore a bit of history that will give great satisfaction. Why We Are The Best Car Club in MO!